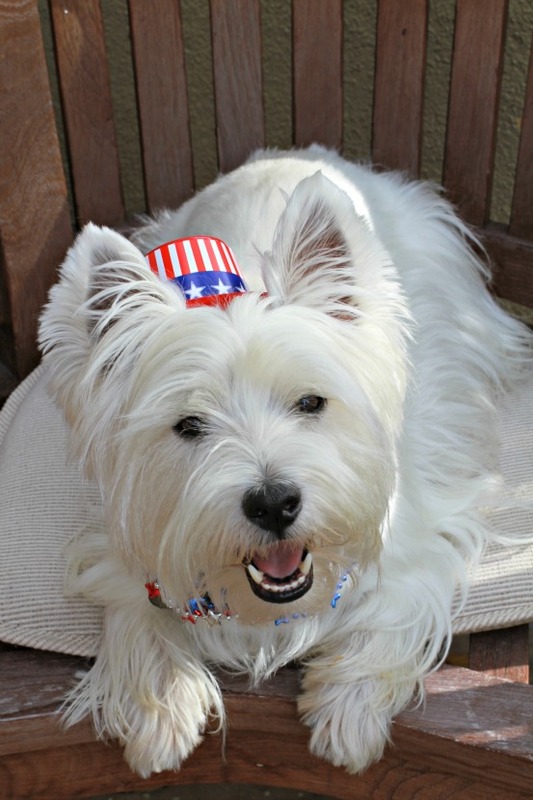 The White Dog Blog: Happy Fourth of July!! We wish you and your family a very happy 4th of July. May you have a wonderful holiday and we hope the fireworks are not too bad. Enjoy the day. WE love bobbing fur TUBE STEAKS too!!! Oh you look FABulous Duncan!! I hopes your Parade is long and you gets all the attention you so richly deserve!! Stay safe and have a Happy Happy Fourth of July!! Food and attention...that makes for a fantastic celebration. You look ready to party, dude. Close your ears and don't listen to the scary noises. Happy 4th! happy 4th!! love your hat! !